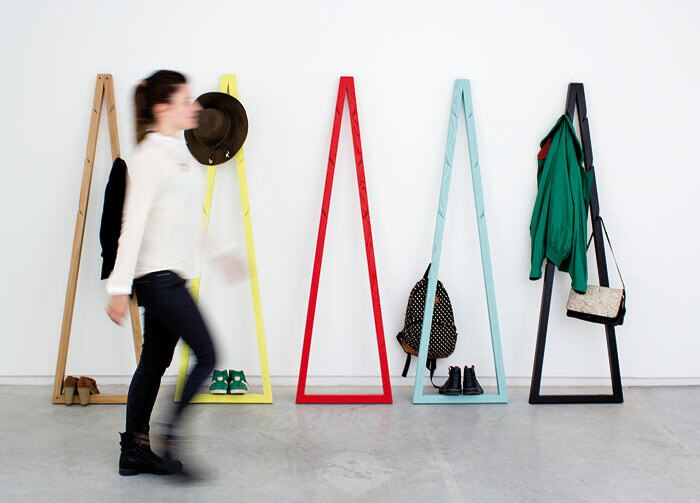 Filipa Mendes and Gustavo Macedo met while studying product design at the ESAD College of Art and Design in Portugal. After graduating in 2009 and finding work opportunities limited, they considered leaving the country to find work as designers or 'chance it' in Portugal by setting out on their own. Hence, Galula. Debuting with products Woody chair and Tio end table, Galula's chairs featured work by four Portuguese illustrators. With a complicated production process, the chairs are no longer sold, but Mendes and Macedo say that it was a product that helped them grow as designers. Glint Lamp combines light source with magnets to allow it to 'stick' to a metal surface as a way to control the light's intensity. 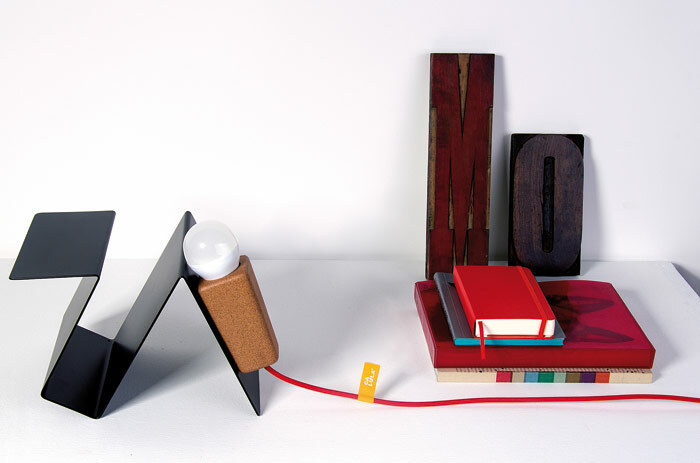 Made of cork and folded steel, it can also house small objects such as keys, or clip on to a bookshelf. Tio end table 'This was our second product to be designed and produced and it was the product that gave rise to our brand motto - "follow the FUN-ction",' the duo explain. 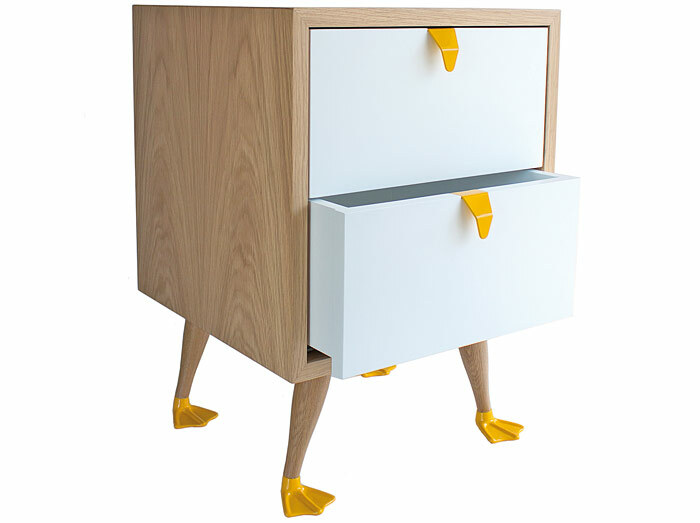 It's a popular piece, with its webbed feet creating smiles as well as storage. We also want to create partnerships with other brands and take on new briefs, which can evolve us through exploring new techniques and materials'.